The talented Aryn Morell heads the winemaking at Matthews. One of the great stops in Woodinville, Matthews was firs founded in 1992 and remains a family owned and operated winery. The winery has an awesome outdoor space that I recently visited with some friends to take in one of the warmer summer days and enjoy some great Sauvignon Blanc in the sunshine. They have also recently remodeled their indoor tasting room. Matthews relies on the talented hands of Aryn Morell who consults for a host of exceptional Washington wineries. One of the great winemakers in the state, Morell has had previous jobs at some of the best Napa estates including Joseph Phelps, Quintessa, Chimney Rock, Vineyard 29, Chappellet, Stags Leap Winery, and Turnbull. He became head winemaker for Matthews in 2007 and Morell sources his grapes from some great vineyards in Washington like Stillwater Creek, Lawrence Weinbau and Sagemoor Vineyards. All Matthews wines are made at Aryn's production facility in Walla Walla. A few weeks back I tasted with Aryn over a period of four hours. I have been impressed with the run of quality of Matthews wines, particularly over the past four releases. The new Matthews lineup was very impressive and beautifully displayed Aryn’s signature winemaking style, involving highly structured wines that show beautiful fruit. 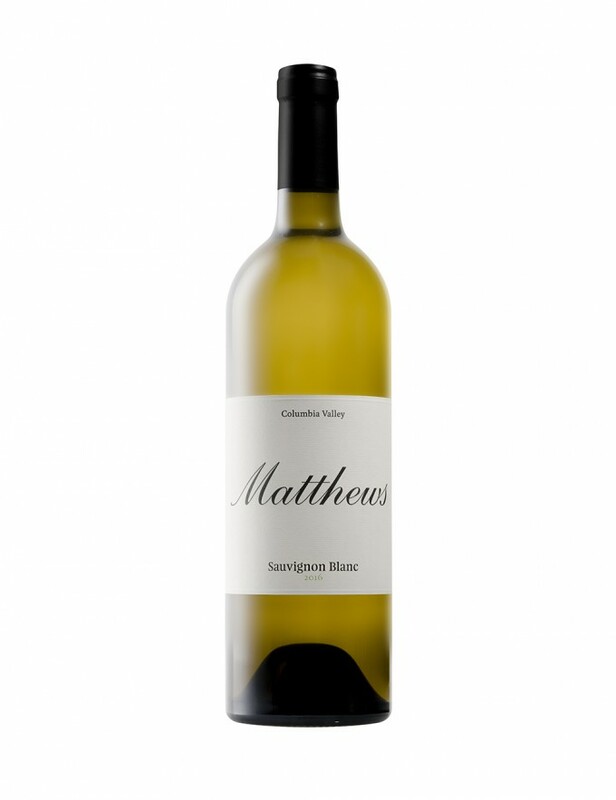 I loved the new release 2017 Matthews Sauvignon Blanc (WWB, 90) which has awesome ripeness and tension. Even better was the 2015 Matthews Merlot (WWB, 92) which incorporates Cabernet Franc and shows good weight and softness from the Franc. For more about the excellent Matthews lineup check out their website at http://www.matthewswinery.com/ Here are the great new releases by Matthews.